You’re looking for fun, sport activities and plenty natural beauty? Tarifa is the place to be. You will learn, easily and safely, the best practices to adopt in kitesurfing with our professional and IKO certified instructors. Using reliable gear is also the success of a positive learning – Our brand of choice is Naish and we renew our equipment each year to ensure you the best teaching. 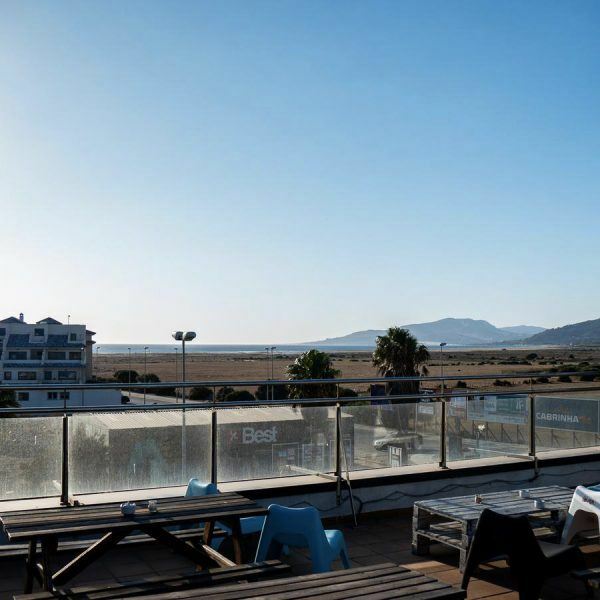 Our experienced instructors will give you 2 sessions of 2 hours per day to help you progress at your own pace so that kitesurf is always a pleasure and get ready for your first ride after only 5 days learning. See, do, eat, or explore – there’s something for everyone in this windy town. So let yourself be gone with the wind, pack your bag and book your holiday before it’s too late! 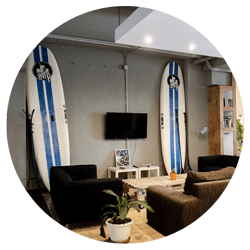 Your daily scheduling includes 2 sessions of 2 hours per day of kitesurfing lessons split by a lunch break to take energy for the second round. Your kite lessons are supervised by IKO/FAV certified instructors, 2 students per instructor of the same level, each with a kite and all the necessary equipment Naish Kiteboarding latest generation. You will be equipped with a radio headset right from the body drag stage to correct you in real time and thus evolve faster in your practice. 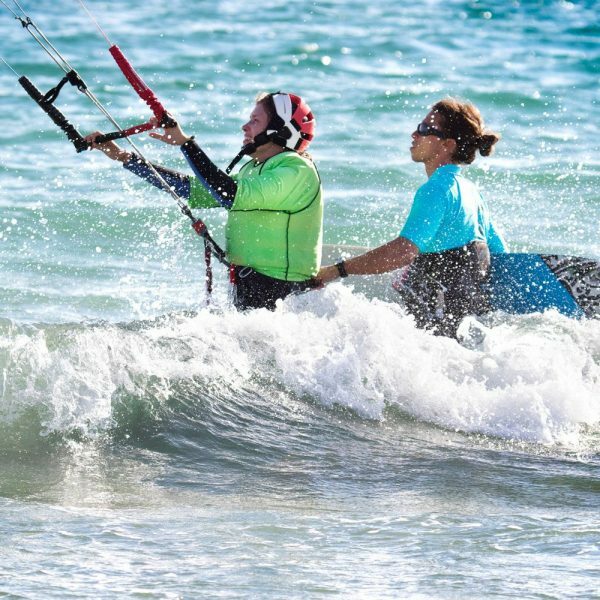 You will learn the basics of kite safely, kite control, boby drag, waterstart and your first rides. 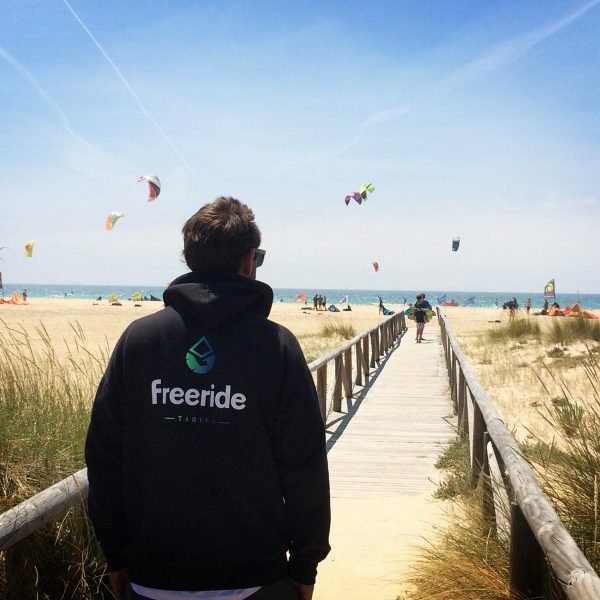 You will taste the incredible gliding sensations, so that when you return, you have only one desire, continue kitesurfing and come back to Tarifa! No experience is needed for this activity, you just have to be able to swim. 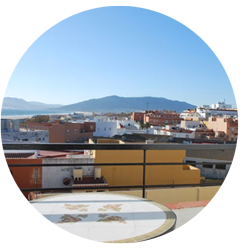 We can provide hostel, studio, apartment depending your wishes and availabilities. Our partners allow us to give you the best service and value for money. Not sure this is the right trip for you? your needs with our great value packages there’s something for everyone.